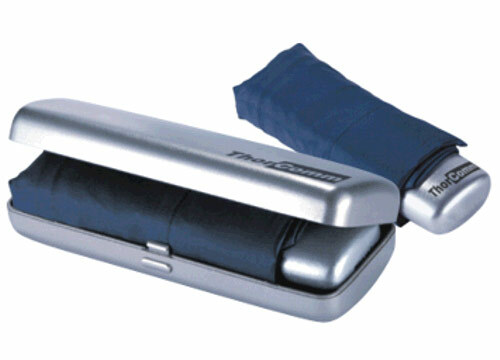 16.5cm long when folded - ideal for briefcase, handbag, glovebox or coat pocket. Supplied in silver carry case. Printed price includes one logo on case and umbrella handle (same logo).